This hotel is great if you’re after a little bit of luxury during your stay. There is a free spa for guests to enjoy, including a sauna, solarium and heated pool. After you’ve worked up an appetite, there’s a stylish restaurant that serves international dishes, and a bar that you can enjoy a drink in any time of day. There are comfy, cosy spots where you can make the most of the free wifi or read a good book. 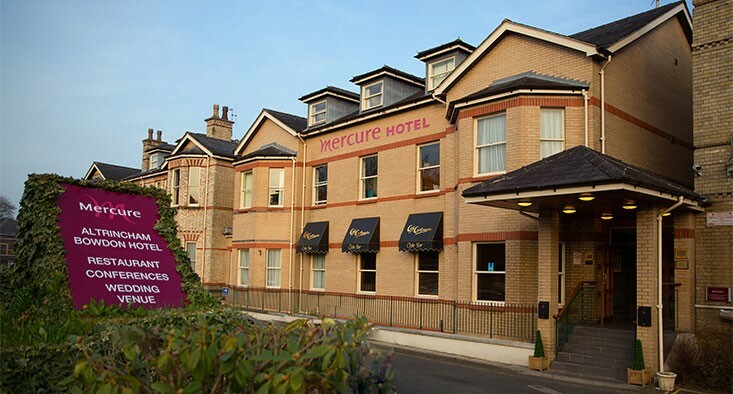 This hotel has great air and rail links, being just 5 miles from Manchester airport and 2 miles from Altrincham railway station. This hotel is close to the M56 and M6 motorways too. When you exit at junction 19, follow the signs for Manchester airport. When you get onto the A56, turn right at the set of traffic lights and the hotel is a mile down the road, on the right.